For World Ocean Day, on Friday 8th June, the QLZH Foundation organised a seabed clean up in collaboration with Dive Systems and NGO Zibel. 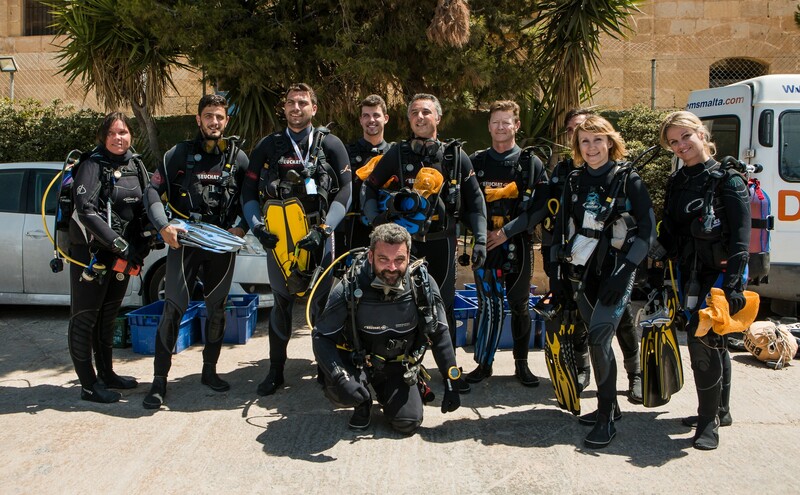 Eight members from the Foundation, kitted with protective gloves and net bags, dived at Manoel Island and collected 277 kilos of junk from the bottom of the sea. The divers were supported by four snorkelers as well as an additional eight people on land which also form part of the QLZH Foundation. The dive was coordinated by members of Dive Systems. On land, Andrew Schembri from the NGO Zibel, managed the separation and proper disposal of the waste whilst providing useful information about what items could be recycled and which ones could not. This also served as an educational session for the people present. The QLZH Foundation divers collected items such as plastic and glass bottles, cables, wires, a large tyre and remains of ropes, home utensils and clock. The Founder of the QLZH Foundation, Steve Mercieca said “We wanted to mark World Ocean Day by joining thousands of other organisations around the world that focus their energies on cleaning up what other people neglected. Living on an island, we are lucky to be surrounded by beautiful waters but the situation under the sea isn’t as nice as seen from the top. Plastic residues end up damaging the marine life, suffocating fish as well as entering our food chain. You will surely see us doing more of these clean ups on a larger scale”. This event ties in perfectly with the QLZH Group’s recent initiative of going ‘single-use’ plastic free across all of it’s branch network. “At the QLZH Group we have always believed that we should contribute towards making the Maltese Islands and our planet a cleaner and healthier environment to live in. We have so far focused more on land, through our #Treedom Campaign, where we plant a tree for every house we sell, but our sea is as equally important”, says COO Fabio Zuccaro.